I am very happy to announce that my Mournes calendar 2017 is finally ready and I can already accept orders.. 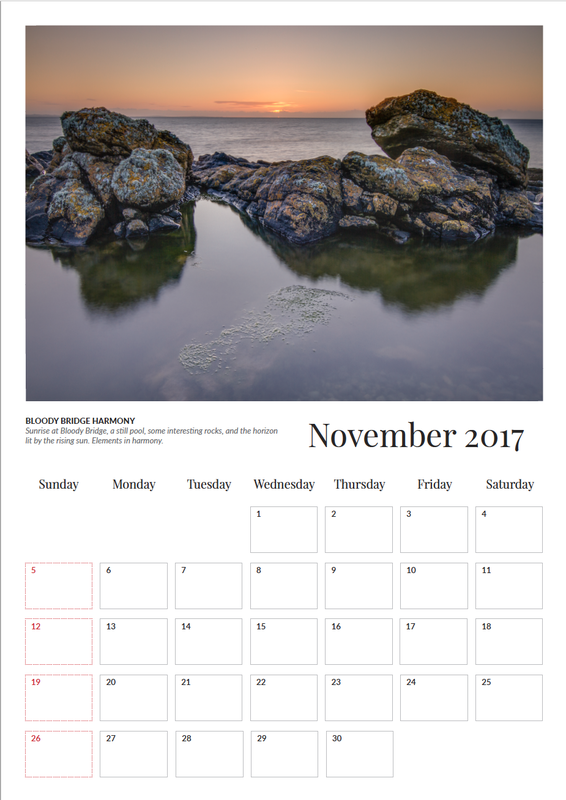 The calendars are A3 size in landscape format. They are printed locally in Luxembourg to high standards of quality. Enter your full name and address. Enter "Mournes calendar 2017" in the title. Enter how many copies you would like to order in the field "Message". I will get back to you with payment details. The calendars will ship once the payment has cleared. Please contact me if you want to order more than 5 copies. There is a €5 flat shipping fee for the whole of the European Union. Anywhere else in the world will have a 5-10€ shipping fee.